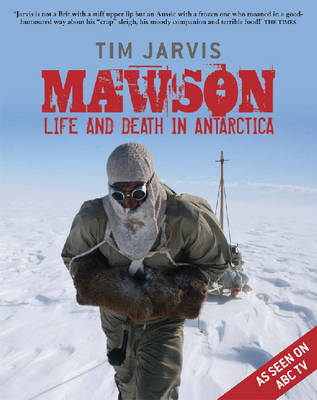 The book documenting the 2007 recreation of Douglas Mawson’s epic journey across the ice of Antarctica (1911-1913) is lavishly illustrated with photographs. Author Tim Jarvis was accompanied by a film crew, and the cartographer’s brief stipulated that the maps should be as bright and bold as the photography of colourful visitors on the white ice and snow. To put the immensity of the Antarctic continent into context for the book’s Australian market, maps of the two continents were required at the same scale. vW Maps selected appropriate equal-area projections and superimposed the maps in a way that made both continents recognisable. An important theme of the expedition was climate change and its effect on the ice mass of Antarctica. vW Maps sourced free satellite imagery acquired only months earlier, helping to keep the pubilsher’s costs down, while providing an incomparable and beautiful base for the map of Mawson’s ill-fated trip across two dangerous glaciers. 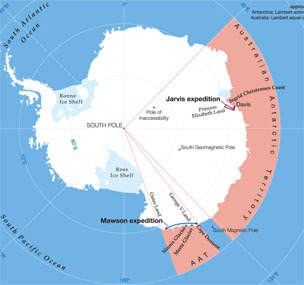 One limitation of the journey’s recreation was the inaccessibility of Mawson’s landing site, which meant that Jarvis and his team had to recreate the original expedition in a different part of Antarctica. 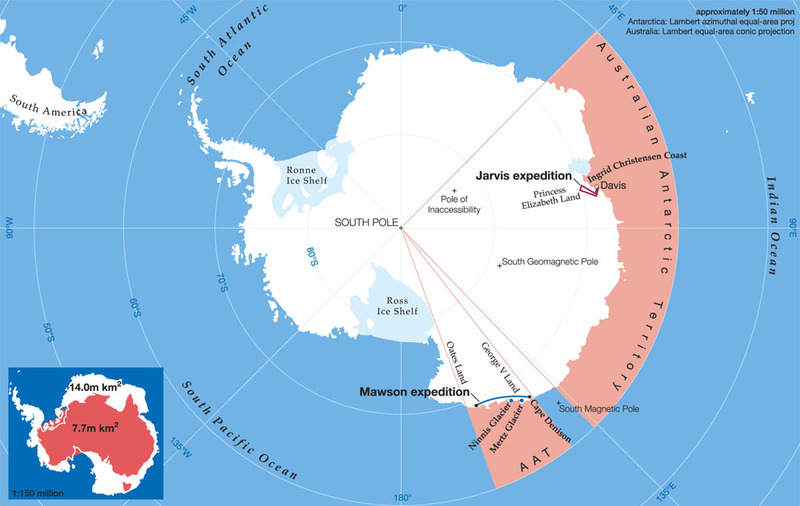 vW Maps, using incomplete GPS tracks, visualized data in a way that made it clear that the new expedition covered the same distance to the pole as the Mawson’s group.